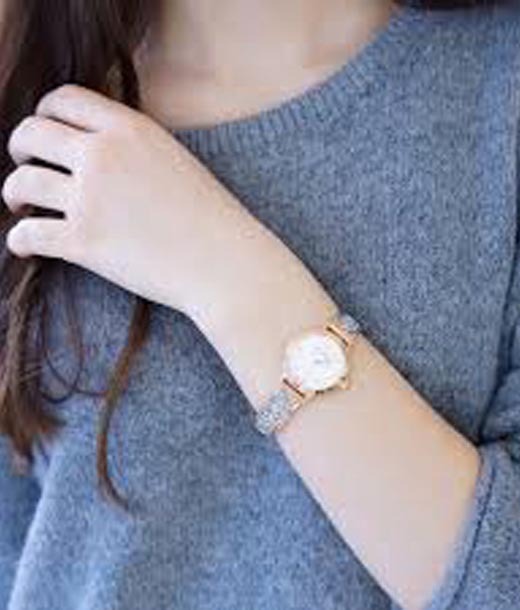 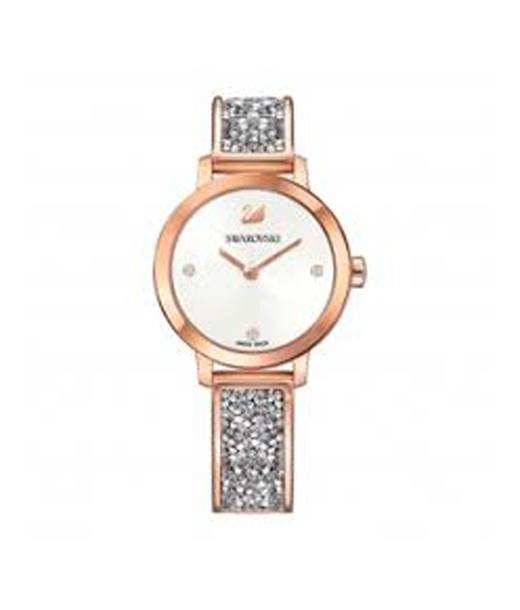 Dazzle in this new watch ? 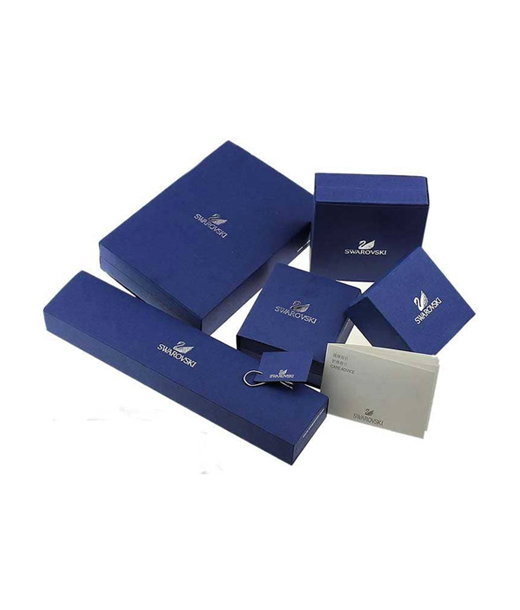 the first to use Swarovski’s famed ultra fine Crystal Rocks. 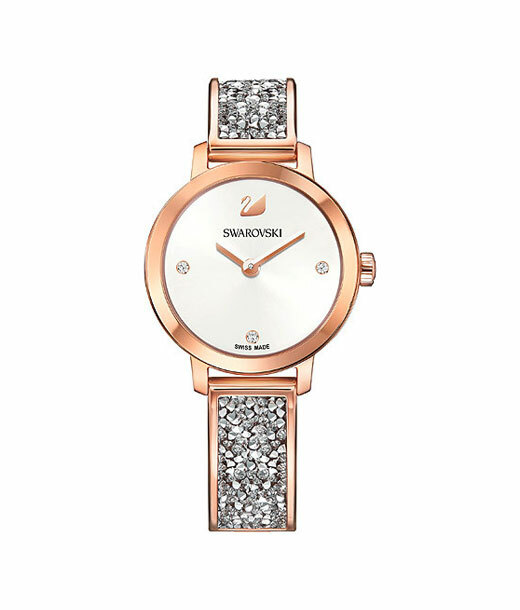 Daring and elegant, it shines with a lavish coating of silvery crystals. 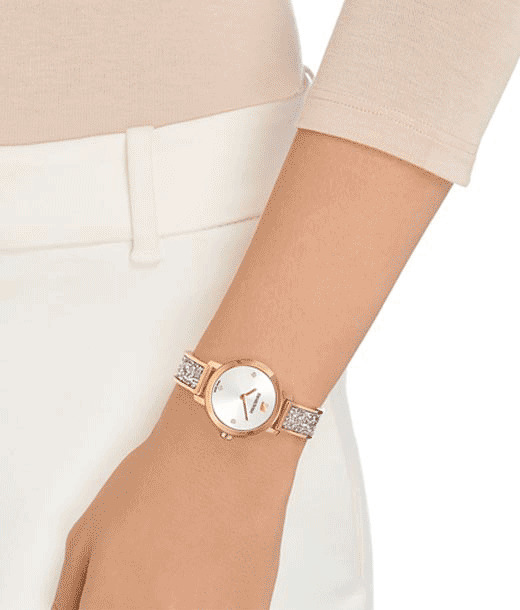 The white silver-tone sunray dial and rose gold-tone coated stainless steel case and bangle complete the sleek design.